I have another great giveaway for everyone and just in time for the holidays! I am very excited about this giveaway. As I'm sure many of you remember, I recently wrote a review about Toby and Max Jewelry. If you missed the review you can read it here. Toby and Max Jewelry has been nice enough to sponsor this giveaway and donate TWO amazing prizes that I know everyone will just love! And just in time for the holiday season as well. Now, on to the prizes! 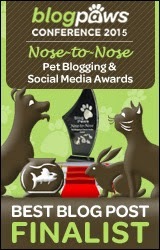 The first prize is a "Rescued & Loved" Dog Pendant. The pendant comes on a 20" adjustable leather cord or you could put it on your dog or cat's collar for a little extra bling. OK, I know it says "dog" pendant, but I think it would look nice on a cat collar too. It is made from repurposed pewter and silver. The second prize is a "Be Good to Yourself - Get a DOG" Mixed Metals Link Bracelet. This bracelet is made from bronze and silverplated pewter which is oxidized for an antiqued finish. This is a must have for dog lovers! TWO lucky people will have one of these super cute prizes for themselves! Or if you're in the giving spirit this holiday season, they would make a lovely gift for any dog lover. This is a Rafflecopter giveaway. To enter, you MUST visit Toby and Max's website and tell me which jewelry piece is your favorite in the comments below. (Don't forget to check off that you commented in the Rafflecopter box!) There are also lots of other ways to gain entry points to win one of these delightful prizes. This giveaway is open to EVERYONE! The giveaway will end on Saturday December 8th at 11:59 CST. So get your entries in soon so that you don't miss out! 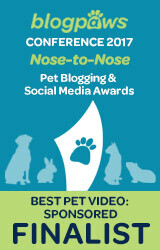 Disclaimer: Pawsitively Pets is not responsible for shipment of prizes from the sponsor. I was not compensated for hosting this giveaway. Toby and Max Jewelry offered to donate these 2 lovely prizes to my readers. Those are really cool and we love the rescued and love bit. Cool! Have a terrific Tuesday. OMG I love EVERYTHING! I adore the "Life is A Journey" bracelet, or the "Be the person that your dog thinks you are"
Oh MY! The bracelet just sings to me! Great giveaway! I love the "It will be Alright" aka Bumpy Road" bracelet - simple and beautiful! 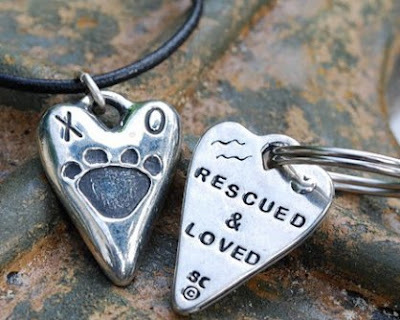 I love the "RESCUED & LOVED" Dog Pendant! It's awesome!! I like the necklace best because it could be for a cat or dog person & necklaces fit anyone, so if you were giving it as a gift you wouldn't have to worry about the size/fit. Rescued and Loved!! 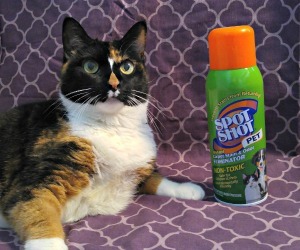 My LadyBug IS Rescued and VERY loved!! Thanks for the opportunity to win...this is a terrific company with some beautiful jewelry!! I'll be honest Miss Ann, I'll wear bling and carry it off in a manly man way... however, I think it best to pass this off to Mom and Little Miss Girlie Girl. Hi this is JJ. Mom and I really appreciate the first item, rescued and loved... because that's how we all feel about each other here at Casa JJ! Mom's not a huge jewelry person, however, we've discussed it and she would absolutely wear that piece, given the chance. (I would look quite fetching wearing the pendant on my collar, if I do say so myself!) Ok, we're off to visit Toby and Max. We have not met them yet! There are so many pieces there that my mom likes, but her favorite (today at least) is the "I don't care where we go..." pendant along with the 24" curb chain necklace...She's really love to win that! I LOVE the 'Rescued and Loved' pendant....perfect since I rescued my Beagle/Terrier Mix, Siren, about 16 months ago. Rescued and Loved, I have two dogs that are very loved! Obviously I love all the dog ones! I think the "rescued and loved" the best. I love all the dog ones too, but I would go for the "Be The Person Your Dog Thinks You Are" sterling BONE bracelet. Everything is wonderful. I really love the bracelets! The bracelet is very cute. Makes me wish I liked to wear jewelry! If it says "Rescued and Loved," I'll take it!